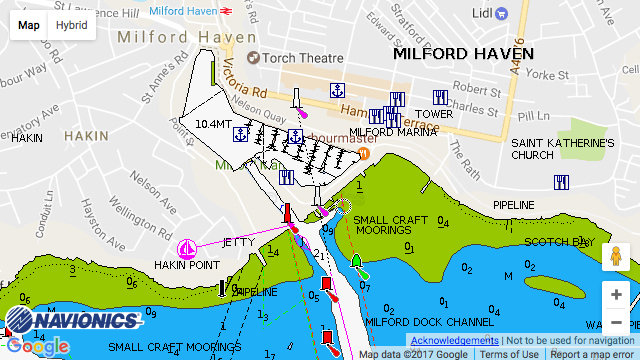 Milford Marina: Milford Marina is set in a magnificent waterway and is the perfect base for discovering the fabulous coastlines of Pembrokeshire, Wales and Ireland. Access a fantastic variety of sailing waters, with fast and frequent lock times and, explore wildlife, rich islands and sheltered sandy bays. Hop ashore for lunch or for a walk in the stunning National Park. The Marina offers a sheltered site with a lock entrance (waiting pontoons available inside and outside) and a full range of shoreside facilities. There’s a friendly community with a great social calendar and our experienced, professional and friendly team are available 24/7 to look after you and your vessel. Visitors who stay 4 nights, enjoy a 5th night on us with our Visitor Card.